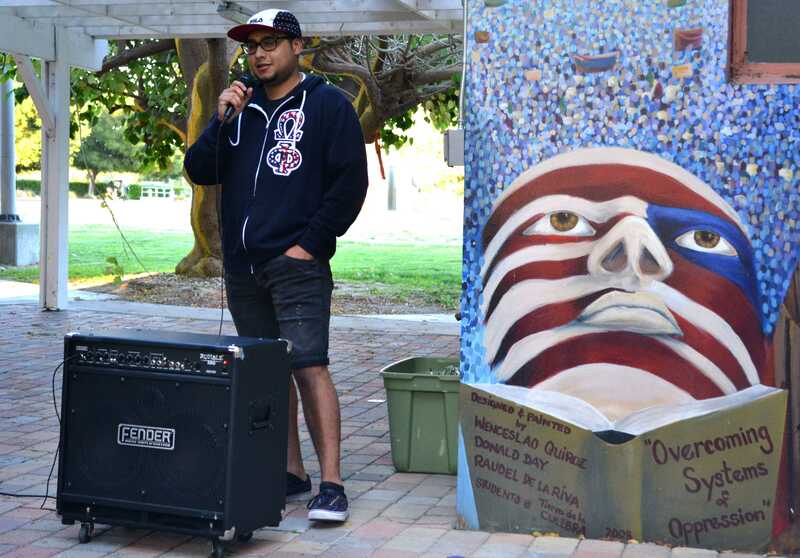 Despite the windy evening, the Central American United Student Association and the Movimiento Estudiantil Chicano de Aztlán members came together to host an open mic night in hopes to bring students together by sharing their experiences. 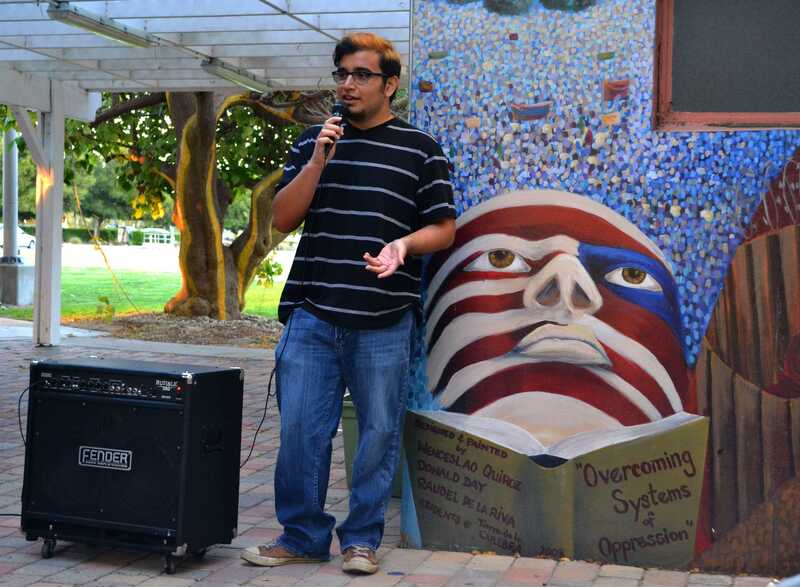 The event on Wednesday night started with members of both student organizations and outside volunteers sharing their personal stories and struggles, as well as their families and their community. 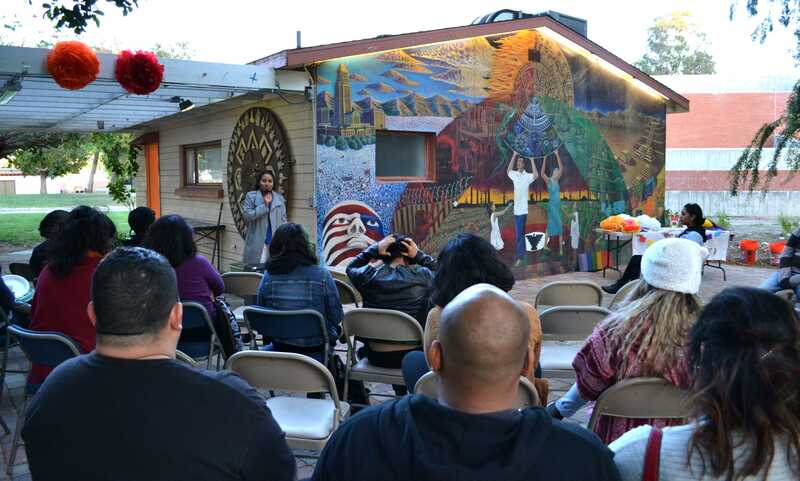 The stories shared consisted of understanding the amount of oppression the Latino community – and all communities – face, parents’ journeys across the border, the disconnection between migrant mothers and their children, losing touch with your roots, student struggles, and life success. 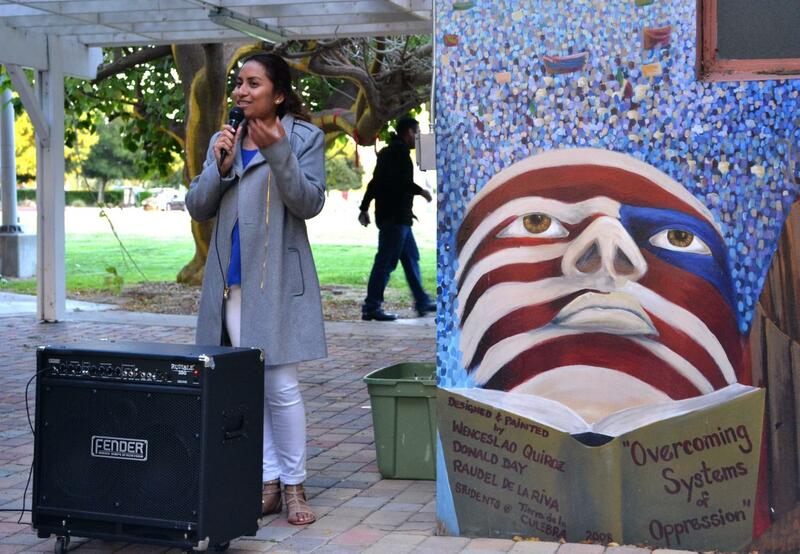 Raquel Flores, president of CAUSA, shared her story of being separated from her mother for 11 years after her mother decided to make the move into U.S. to provide a better life for their family. Flores said it was a rough experience that created a distance between herself and her mother, but a experience that has given her the ability to graduate this upcoming December and for her family to experience opportunities that have made all their struggles worth it. Organization members, Andy Linares and Paolo Alello, expressed the importance of not only sharing personal stories with one another but taking the time to learn about family member’s experiences. 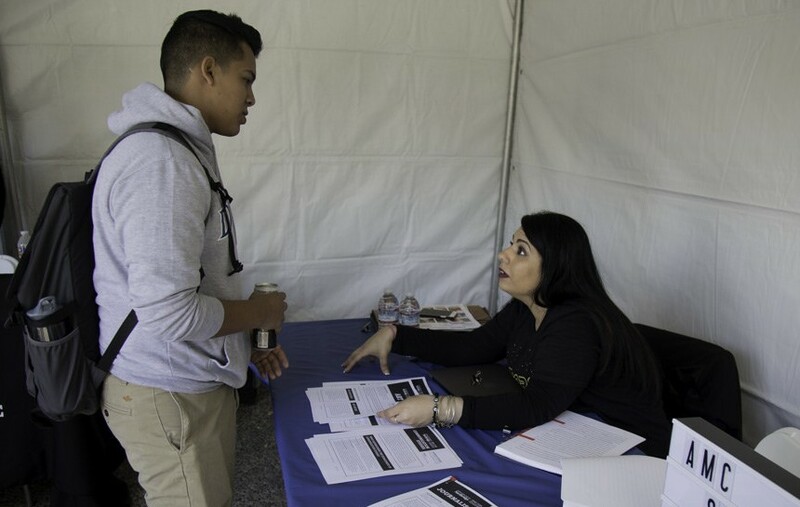 Alello enforced the idea of speaking to family, more so parents, about their experiences despite how painful and difficult it may be in order for individuals like himself to mature and better understand their background. 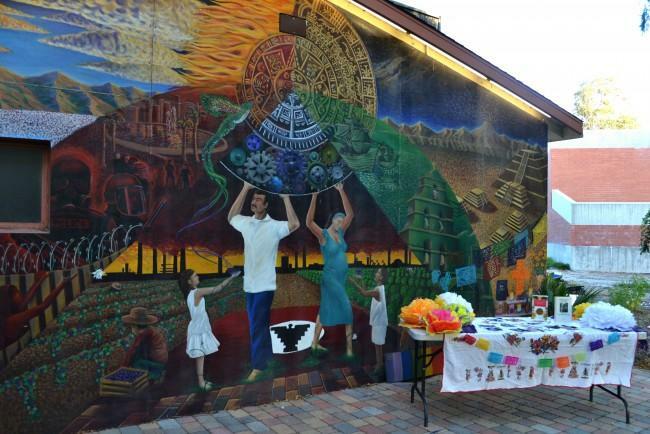 Linares said it is important to always remember where you come from because it allows more unity within the community. Maya Burton, a sophomore majoring in theater and minoring in art, attended the event to support the Latino community and gain a better perspective of their struggles. Burton said despite not being Latina she was able to relate to the situation of her parents also going through a lot in order to give her the opportunity to attend college. The end of the event reinstated the idea that the struggle within the Latino community and around the world is not over. Through a Skype call, reporter and Honduran activist, Gerardo Torres Zelaya, informed attendees about the high amount of violence in Honduras and their current fight to restore their government. Flores and Guevara said the call was important because it allowed people to have a clearer picture of what is happening in Central America and give others a better understanding that individuals feel the need to migrate not only for economical reasons but because their countries are not safe.